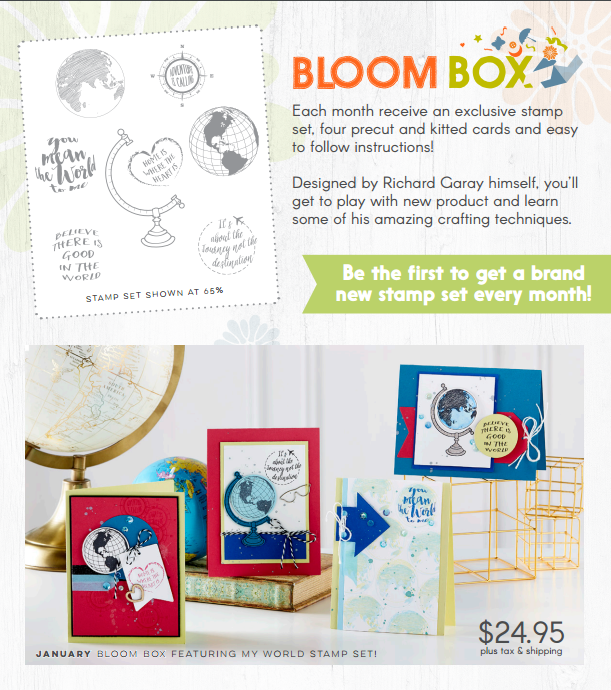 For January, Richard has designed the "My World" Bloom Box to celebrate travel and home. You will love this stamp set because it is a perfect combo of adventure and cherishing home. Enjoy! If you have any questions, you can email me at HERE.